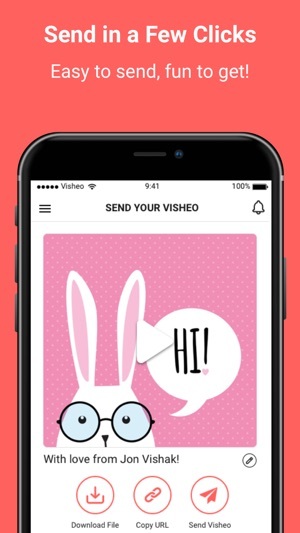 Visheo is a surprising, easy and special way to say "Happy Birthday" and greet friends and family on any occasion. 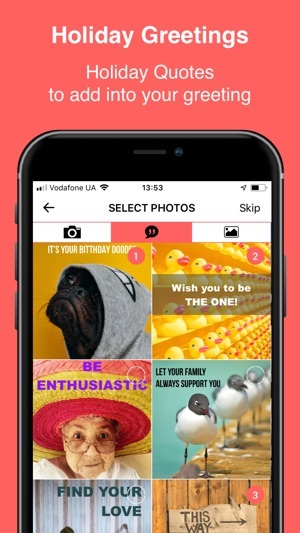 Using Visheo mobile app you can create birthday video greetings in seconds (also wedding, anniversary and 20 more occasions) and send them to your dear ones. What can be more heartwarming than sincere words said face to face? 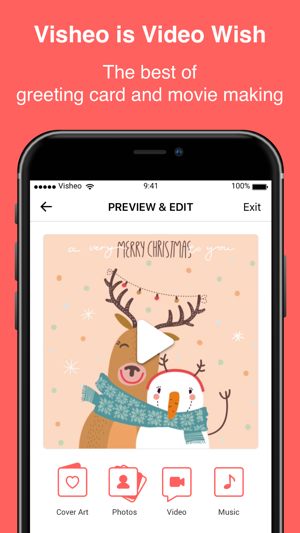 In combination with a greeting card, memorable photos and holiday music Visheo creates unforgettable emotions! 1. 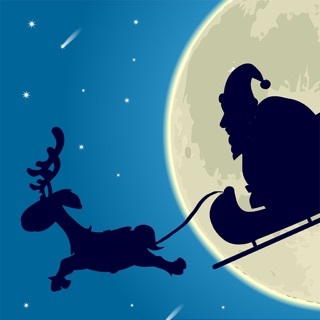 Select holiday artwork. It will be used as the first scene in the video and also - the thumbnail. 2. Add your photos. The photos will be played as a slideshow and will help to make your Visheo special. 3. 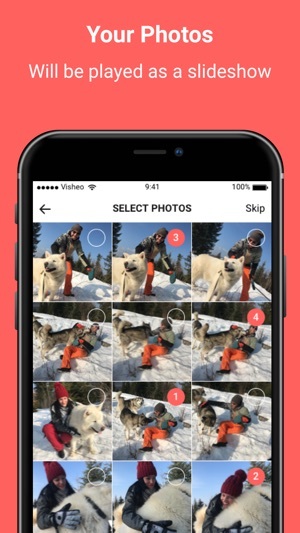 Record your Video Message. This is the key component of your Visheo greeting that will make it personal & touching. 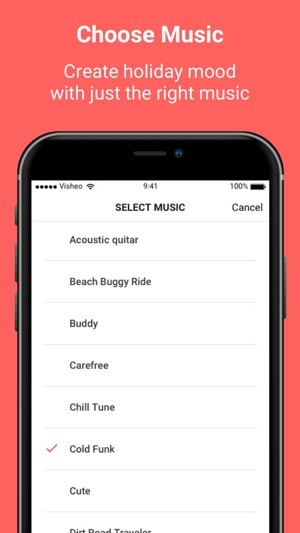 In less than a minute you'll have beautiful greeting movie with a nice background music you can easily tune. Send Visheo as a link or share it via any social app / messenger from your phone, and your addressee will immediately receive it. 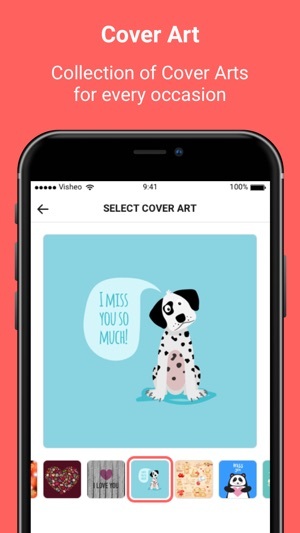 Visheo is an easy to use tool that will perform magicly with your creativity and imagination inside! In order to send Visheo greeting you can purchase consumable Visheo Cards for 0.99 USD per card or use auto-renewable monthly subscription - “Unlimited Visheo Cards” for 1.49 USD per month. 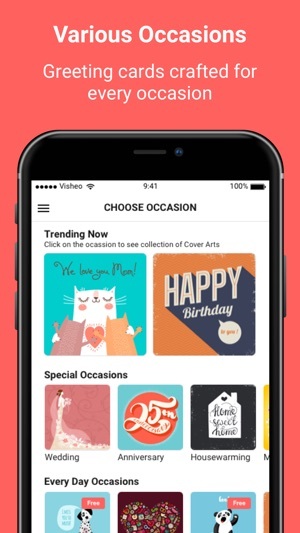 Very buggy - app crashes throughout- never could get successfully through the app to completion of a greeting card. Dear Lumyai, we are sorry to hear that you could not create a greeting card. We have recently launched a new version of the app that should get your problem fixed. We'll appreciate if you try it out.